James “Jim” Brown was love walking. He was a humble and gentle man who lived well and met his Savior, Jesus Christ, on March 19, 2019, surrounded by his adoring family. Jim’s family was his greatest joy and the center of his universe, and he gave to them sacrificially throughout his life. Born on March 22, 1929, in Columbus, Ohio, to Vera and William Brown, Jim was one of nine siblings: Alberta (Kean), Bill, Earl, Donnie, Thelma (Garvin), Alice (Salmon), Rose (Wadlow-McGehee), and Ruth (Hamilton). Always a family man, he enjoyed close bonds with his mother and siblings throughout life. After enlisting to serve his country in the Army Air Corps, Jim returned home to care for his mother. Jim met and married the love of his life, Georgia, in 1949. Wherever they went, Jim and Georgia were home together. They raised three daughters and a son, Janet, Pam, Lynda, and Tom. Yet, their home provided shelter and strength for many more. In spite of difficulty, they built a life and a future for themselves and those around them. Whether working as the store manager of Louis stores, reading blueprints, or working as a general contractor, Jim served with the love of Jesus—and always with a smile on his face. 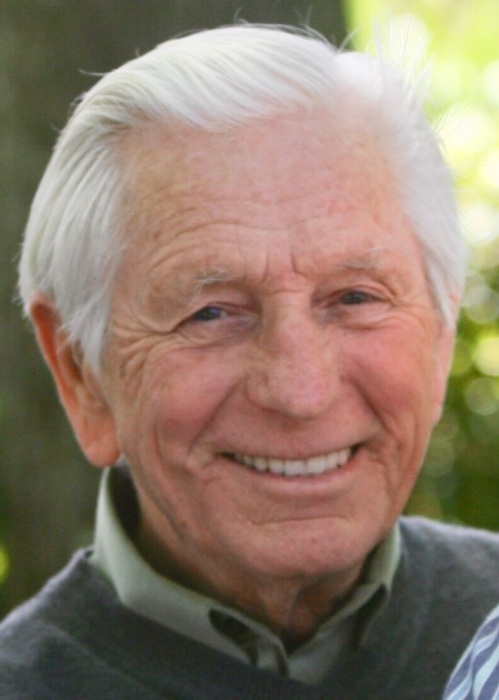 He was a character, pulling good humored pranks on family and friends, and he loved playing card games, fishing in Lake Tahoe, and taking trips together with his family. A 58-year resident of Vallejo, member of Vallejo First Church of the Nazarene, lover of coffee at Scotty’s, and friend to all, he leaves a cavernous void in the hearts of those who know and love him. Those left to carry on his legacy include his wife of nearly 70 years, Georgia, daughters, Janet (Darrell) McClure, and Lynda (Lloyd) Cartwright, son, Tom Brown, a host of grandchildren and great-grandchildren, sisters Rose and Ruth, and countless nieces and nephews. He was preceded in death by daughter Pam (Jim) Rouse. Private burial will be held at Idaho’s Veteran’s Cemetery. A memorial service will be held on Saturday, May 4, at 11:00 a.m. at Nampa (Idaho) First Church of the Nazarene, 601 16th Ave. So.. In lieu of flowers, donations preferred to Vallejo, California First Church of the Nazarene. There's still time to send flowers to the Memorial Service at the Nampa First Church of the Nazarene at 11:00 AM on May 4, 2019.